DIGISOL Systems announced the release of the new Dome IP CCTV Camera with PoE, Audio & SD card slot for use in home/office security and monitoring applications. The DIGISOL DG-SC6502SA offers the latest compression technology with a CMOS sensor & a real-time image processing hardware. With its high performance / H.265/ H.264 compression, users can stream high-quality video at low bandwidth and storage capacity requirements. 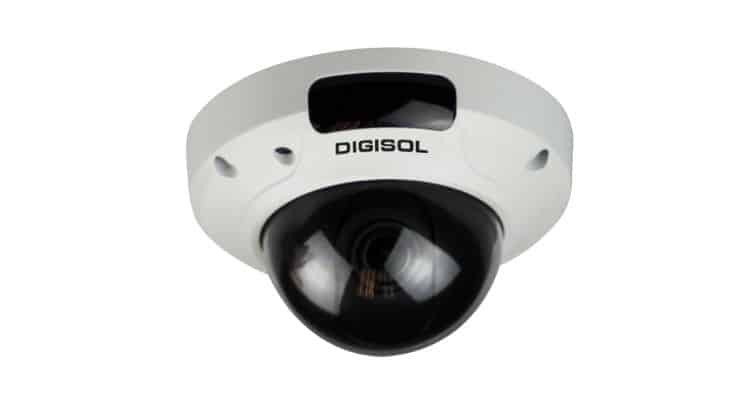 DIGISOL IP camera offers home users effective surveillance solutions alternative to traditional analogue CCTV units, which are expensive to install and are outdated technology. The Modular Design and aesthetic looks of the camera help to be recessed easily into suspended ceilings or wall mounted with no need for an additional mounting bracket. DG-SC6502SA supports Power over Ethernet, which helps in an easy installation by eliminating the need for a dedicated power source for the camera. DG-SC6502SA has Infrared for better visibility under no light environment. If the environment light is not sufficient enough to view the camera then the IR LED’s are triggered ON automatically for better visibility. DIGISOL’s unique and highly-flexible camera, allows you to create your own video monitoring network that can be viewed remotely from your computer and most smartphones and tablets. The DDNS allows viewing the IP camera over the Internet with the help of a domain name. Normally used when the ISP has provided you with dynamic internet IP address to access the camera remotely. Price: The feature-rich DIGISOL DG-SC6502SA, is available at a street price of Rs.7800/- and comes with two years warranty. DIGISOL Introduces 5 Mega Pixel IP CCTV Dome Camera 0 out of 5 based on 0 ratings. 0 user reviews.